The maximum independent set problem is NP-hard and particularly difficult to solve in sparse graphs, which typically take exponential time to solve exactly using the best-known exact algorithms. In this paper, we present two new novel heuristic algorithms for computing large independent sets on huge sparse graphs, which are intractable in practice. First, we develop an advanced evolutionary algorithm that uses fast graph partitioning with local search algorithms to implement efficient combine operations that exchange whole blocks of given independent sets. 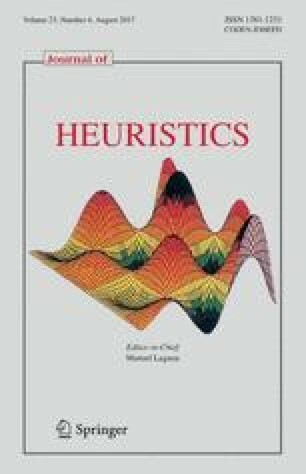 Though the evolutionary algorithm itself is highly competitive with existing heuristic algorithms on large social networks, we further show that it can be effectively used as an oracle to guess vertices that are likely to be in large independent sets. We then show how to combine these guesses with kernelization techniques in a branch-and-reduce-like algorithm to compute high-quality independent sets quickly in huge complex networks. Our experiments against a recent (and fast) exact algorithm for large sparse graphs show that our technique always computes an optimal solution when the exact solution is known, and it further computes consistent results on even larger instances where the solution is unknown. Ultimately, we show that identifying and removing vertices likely to be in large independent sets opens up the reduction space—which not only speeds up the computation of large independent sets drastically, but also enables us to compute high-quality independent sets on much larger instances than previously reported in the literature. Preliminary versions of the research reported in this article appeared in Proc. 14th Intl. Symposium on Experimental Algorithms (SEA 2015) (Lamm et al. 2015) and Proc. 18th Workshop on Algorithm Engineering and Experiments (ALENEX 2016) (Lamm et al. 2016). For completeness, we present the results in Table 7.